In order to provide an accurate diagnosis, your equipment must remain in excellent condition. Depend on us for imaging repairs, including MRI and CT scanner maintenance. For a more affordable solution to your imaging needs, call on Proton Services Incorporated. 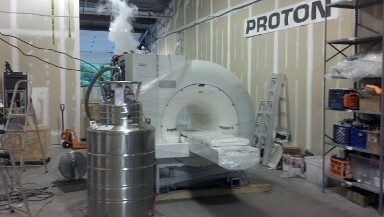 We offer refurbished MRI sales, backed with expert installation and a warranty. Proton Services Incorporated is your trusted source for imaging equipment repair and sales. Based in Sayreville, New Jersey, we are a full radiological service company, able to repair all types of whole body diagnostic imaging scanners, including MRIs and CT scanners. We correct chronic and intermittent imaging hardware, software, and application problems. We also assist in ACR accreditations and offer refurbished MRIs for sale. Contact us for imaging equipment repair and sales from an established, reputable company.